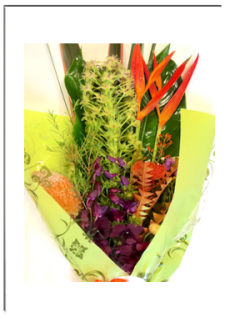 Send Flower Bouquet – Flower bouquets are like words spoken with your message. Say it with Flower Bouquets for all occasions. From just a single rose to impressive presentation flower sheaf, we create lovely flower bouquets to suit every occasion. Looking for unique flower bouquets? Buy Rainbow Roses Bouquet, Black Roses Bouquet, Peony Roses Flower Bouquet and much, much more exciting flowers mix. Let our creative team cater to all your flower bouquet requirements. Please do not hesitate to contact us if you have queries on +61 39840 7307 orText to +61 402 240 235.